Vertical Flat File System Filing Box (Set of 8) Size: 29'' H x 42'' W x 12'' D by Advanced Organizing Systems at Easy Blogging Tip. MPN: VFile37. Hurry! Limited time offer. Offer valid only while supplies last. VFile37 Size: 29'' H x 42'' W x 12'' D Features: -Includes 8 vertical folder, additional sold separately. -Ideal for active files or permanent storage. VFile37 Size: 29" H x 42" W x 12" D Features: -Includes 8 vertical folder, additional sold separately. -Ideal for active files or permanent storage. Container Type: -Box. Storage Type: -Flat file. Color: -White. Document Size: -Oversized. Commercial Use: -Yes. Country of Manufacture: -United States. Dimensions: -42-in. perfect for 22'' x 34'', 24'' x 36'' media flat storage. -47-in. perfect for 30'' x 42'' media flat storage. Size 34" H x 47" W x 12" D - Overall Height - Top to Bottom: -34". Size 34" H x 47" W x 12" D - Overall Depth - Front to Back: -12". Size 34" H x 47" W x 12" D - Overall Product Weight: -35 lbs. Size 29" H x 42" W x 12" D - Overall Height - Top to Bottom: -29". Size 29" H x 42" W x 12" D - Overall Width - Side to Side: -42". Size 29" H x 42" W x 12" D - Overall Depth - Front to Back: -12". Size 29" H x 42" W x 12" D - Overall Product Weight: -24.5 lbs. Assembly: Assembly Required: -Yes. Overall size: 42"Wx12"Dx29"H. Stores Various Media up to 24"x36". Ideal for 22"x34" and 24"x36". 8 VFolder37's are included. Additional VFolder37's sold separately 8/Pkg. 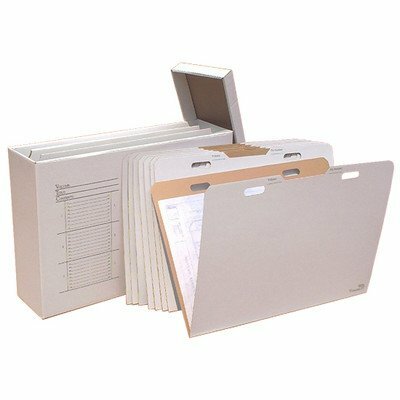 VFile37 holds 24 VFolder37's with up to 840 sheets. If you have any questions about this product by Advanced Organizing Systems, contact us by completing and submitting the form below. If you are looking for a specif part number, please include it with your message.